Since 1937 Lundberg Family has been dedicated to caring for the land responsibly and sustainably. Our organic farming methods produce healthful, delicious rice while respecting and protecting the earth for future generations. Today, the spirit of environmental stewardship at Lundberg Family Farms continues to grow with every grain of rice. 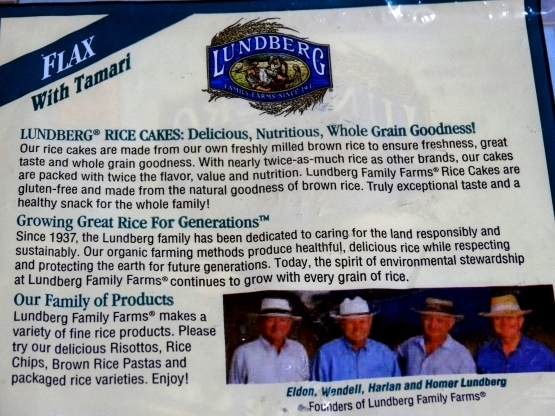 Lundberg Family Farms makes a variety of fine rice products. Please try our delicious Risottos, Rice Chips, Brown Rice Pastas and packaged rice varieties. Enjoy!